I am a student at UVic who gets around campus with the help of a guide dog. I am legally blind. With help, I was able to study for a month in Cuba this summer, where no one placed limits on me because of my disability. I participated in a field school organized by UVic anthropologists Dr. Alexandrine (Alex) Boudreault-Fournier and Dr. Eleonora Diamanti, who led our class as we spent four weeks exploring a socialist culture in transition. This was a huge trip for me and took a lot of determination to make it happen. I am visually impaired and use a Seeing Eye dog named Grainger to help me travel around. When I heard about this trip, I knew that Grainger would have to stay behind — the hot weather and stray dogs in Cuba would make it very hard for him to do his job properly. In Cuba, it was not out of the ordinary for a stranger to reach out to help me, which may be a reflection of their collectivist culture. I asked Alex if I might be able to take part in her field school. We figured out that for this to happen, I needed a full-time guide to help me navigate safely in Cuba. Alex supported me fully, and advocated on my behalf with the Anthropology department and UVic’s Centre for Accessible Learning. It took many emails, meetings, and talks over coffee, but finally I received the great news that UVic would pay for someone to accompany me. Without a guide, I would not have been able to take part in the field school. 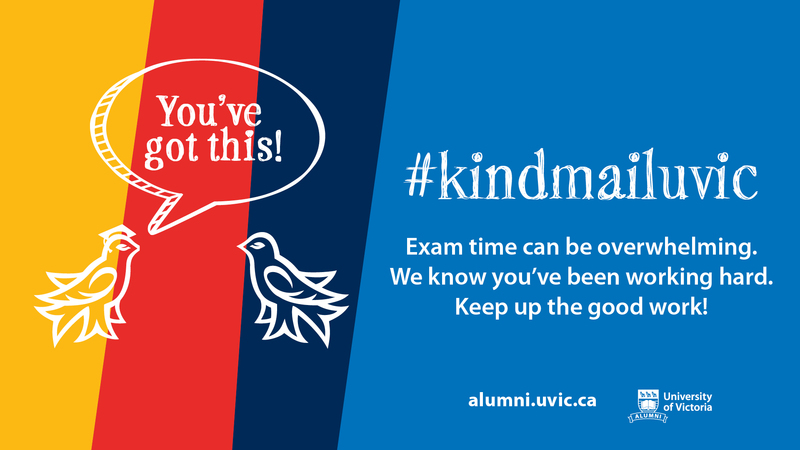 UVic gave me the support I needed to study in Cuba just like any other student. My good friend Laura Steele was by my side for the entire trip. I relied on her to find bathrooms, change money, hail cabs, and guide me around choppy sidewalks and gaping storm drains. Laura described scenes in detail and helped me orient where to look. 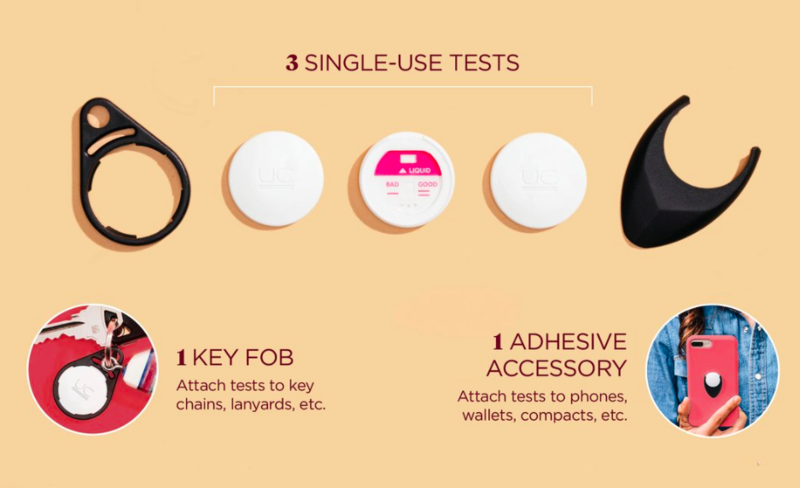 She helped me shop in grocery stores, which turned out to be an easy task because there was only one brand of every item! I found out quickly that Cubans treated me differently than people in Canada and the U.S. At home, people are often looking down at their phones and don’t take the time to help each other out. In Cuba, I had the sense that everyone had my back. Strangers would call out “cuidado,” which means “be careful” in Spanish. Bystanders would tell me to take my time while I was navigating stairs. Some would reach out and take hold of my other elbow as Laura was guiding me off a curb or over an obstacle in the street. 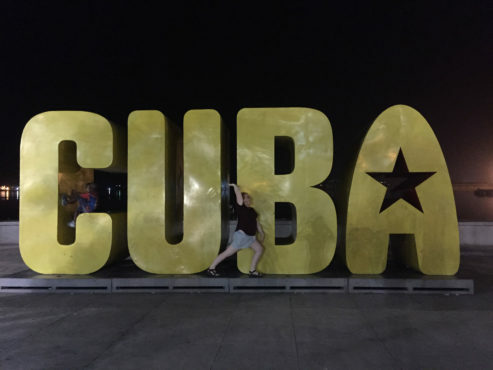 I experienced a difference in how people are with their personal boundaries in Canada and Cuba. It seems that in Canada, many people value individuality, autonomy, and personal space. But in Cuba, it was not out of the ordinary for a stranger to reach out to help me, which may be a reflection of their collectivist culture. Our first day in Baracoa, Laura was trying to describe the best way to go down a steep narrow staircase with no handrails when a man crossed the street, took hold of my arm, and helped me down to the bottom. Time and again, Cubans would offer assistance, even with Laura by my side. It was incredible to experience people’s willingness to offer support. That sense of community and being part of a collective was strong in Cuba. This was most apparent to me during our trip when a plane crashed in Havana, killing most of the people on board. We were looking forward to attending a concert that night, but just before it began, Alex came on stage and told us that the country was in mandatory mourning. Anyone who played music would be shut down by police. While people were sad that the concert didn’t go ahead, they didn’t complain. People showed respect for the ones impacted by the crash and grieved together as a country. I found that many Cubans are intuitive. They seem to understand that there are barriers everywhere in their country for people with disabilities, and they naturally try to help when they can. 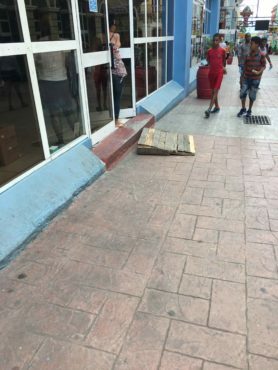 For example, in Santiago de Cuba, a man set up a makeshift wheelchair ramp against the curb to help a customer. In Havana, there are more formal attempts to improve accessibility — in one of the blocks we walked down we noticed some signs in Spanish that had Braille underneath. This trip empowered me. As a person with a disability, I have often been told that some adventures are too dangerous or that it is too much work to make accommodations. During my four weeks in Cuba, no one imposed limits on me. I participated in all the activities with the other students, thanks to Laura and the amazing team who put together the field school and who believed in my abilities. I travelled in army trucks, participated in dances, swam in rivers, and ate mangoes by the beach. On one excursion deep in the jungle, we climbed a steep embankment with questionable hand-grabs, working our way to a series of caves. Laura was behind me and Yurak, our local guide, was in front. Both gave detailed instructions about where to put each one of my four limbs at every step. On the way down we did the same thing, only this time I was facing backwards. I had an extreme sense of pride and accomplishment when I took my last step off the mountain. We all celebrated with coconuts fresh from the tree. It takes advocacy and a lot of planning and support, but travelling with a disability is possible. 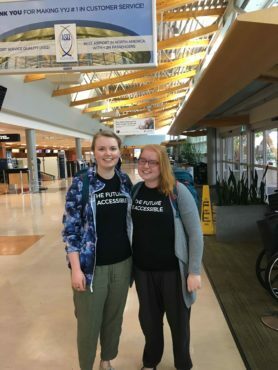 My hope is that in the future, UVic works towards streamlining the process for students with disabilities so that it is easier for them to participate in field schools. They too can experience the wonders of a new country. They, too, can take part in learning about different cultures first-hand, and feel a sense of accomplishment, just like any other student.